The FIA Foundation has teamed up with a number of partners to introduce a new real-world vehicle emissions rating system called the Real Urban Emissions (TRUE) Initiative. 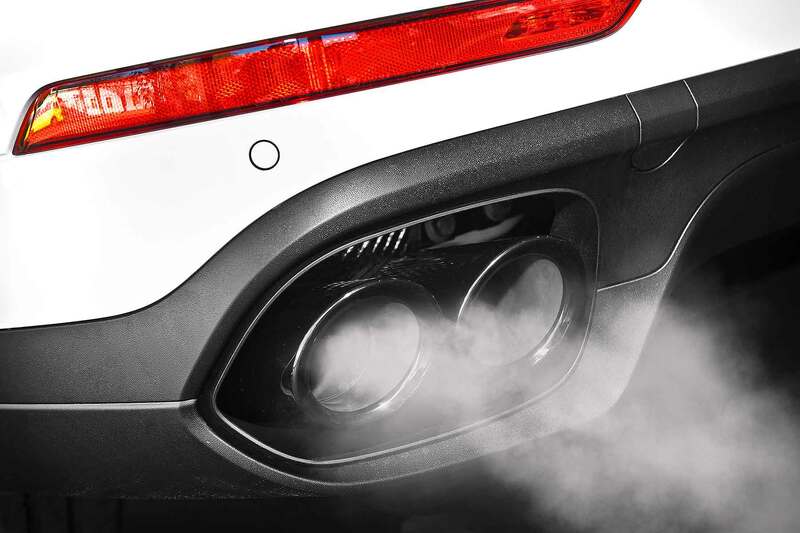 It hopes this will become an NCAP-style rating for car exhaust NOx emissions – and it’s bad news for all but the very newest diesel cars as they ALL score a worst-possible red ‘poor’ score. The International Council on Clean Transportation (ICCT) has developed the TRUE Rating, based on real-world assessments of, it claims, more than 700,000 vehicles. Almost 5,000 individual models in Europe were assessed, by using remote-sensing equipment situated by the roadside. Incredibly, every single Euro 3, Euro 4 and Euro 5 diesel measured was given a poor rating, because of excessive NOx emissions. Even the latest, greenest Euro 6 vehicles, a standard introduced in 2014, emitted twice the legally-permitted levels of NOx. Other older Euro 6 diesels emitted four times the legal limit. 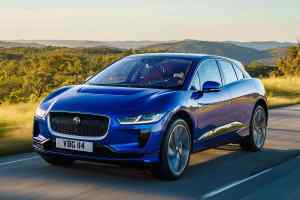 “Nearly all diesel vehicles on European roads received a ‘poor’ rating, meaning they exceed the Euro 5 diesel NOx emissions limits introduced in 2009,” said the organisation. It’s much better news for petrol cars, though. 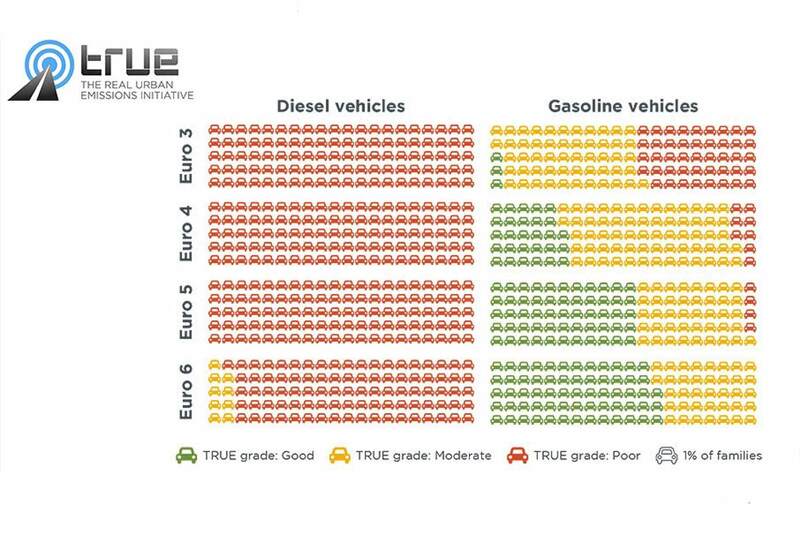 Only the oldest Euro 3 cars (from 2000-2005) scored a high number of poor ratings; not a single Euro 6 petrol car was given a poor rating, and the majority of them received a green ‘good’ score. The TRUE Rating currently only assesses vehicle NOx emissions, but will be expanded in the future to include particulates, carbon monoxide, and hydrocarbon emissions. 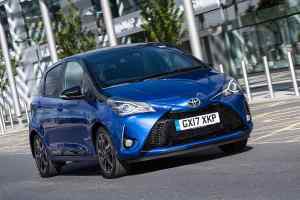 Mike Hawes, chief executive of the UK’s Society of Motor Manufacturers and Traders, said that “differences between results fro­­­m historical official laboratory emissions tests and those performed in the ‘real world’ are well known. The new database allows motorists to search by make and model; BMW is the only manufacturer to receive a ‘moderate’ score for its diesel cars, say the developers of the emissions database. U.S. organisation the ICCT developed the TRUE rating, and is now working in association with the FIA Foundation, Transport & Environment, C40 Cities and Global NCAP.